The JNC’s programs for 2019 are up and running. We invite you to join a JNC group or class – we have many on offer. The calendar on this page lists some of them. Here’s a summary of what’s on between February and April, in alphabetical order. Eligibility criteria apply – some details are given below, but please check with us. To join any programs marked* you’ll need to be 65 or older and registered with My Aged Care. If you’re not registered, contact us on (02) 9349 8200. Some groups in this list may be full when you enquire. We’ll happily put you on the waiting list. KNITTING GROUP* Mondays, 12.30pm-3pm in Maroubra. Tuesdays in Glebe monthly, 10.30am-12.30pm. Phone: Maroubra: Emily or Janniene on (02) 9349 8200. Glebe: Fasina on (02) 8570 1400. 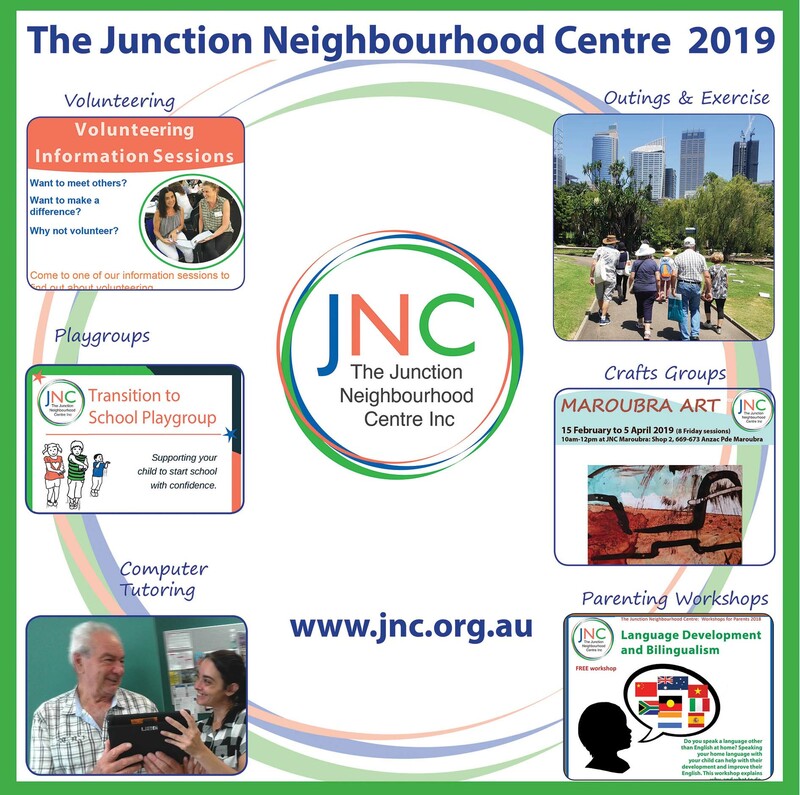 The JNC’s programs for 2019 include other services – for example, assisted aged care referrals, friendly phone calls and volunteering opportunities. You might also like to refer a relative, friend or neighbour to us for ways to engage with the community. Please don’t hesitate to ask for more information about The JNC’s programs for 2019. Call us on (02) 9349 8200, or you can consult this website or our Facebook page at @TheJNC. Or drop in to one of our centres to pick up brochures and find information on services offered by other community organisations.